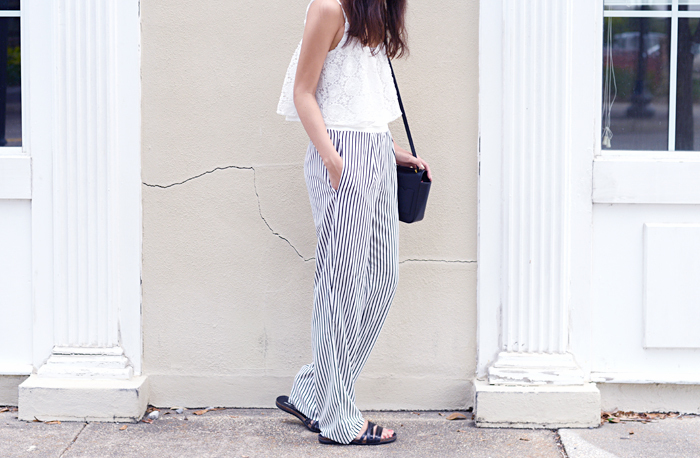 Oversized, wide-leg trousers are a great staple to have this Fall season! These floor-grazing pants are lightweight, stylish, and super comfortable to wear. I teamed my striped Zara pants with a laced L.A. Hearts tank from PacSun! For accessories, I added Celine sunglasses, a Reed Krakoff shoulder bag, and Kenneth Cole slides.